Synth rockers Mutemath incorporate electronic, psychedelic and post-rock influences to form their singular sound. From head-banging, to shoegaze, to dancing, Mutemath takes listeners through a medley of styles and genres, thanks in part to a wide-range of instruments that they utilize during their live shows including: vintage guitars and amps, synthesizers, keytar and more. Mutemath’s fifth studio album, Play Dead will be released in the fall of 2017. The band is featured in our latest NOLA vinyl package. Historic 19th-century cemetery with above-ground tombs & statuary characteristic of the area. Plaza Tower is a 45-story, 531-foot (162 m) skyscraper in New Orleans, Louisiana. Located in the Central Business District, it is the third tallest building in both the city of New Orleans and the state of Louisiana. The building has been abandoned and unused since 2002 because of environmental problems such as toxic mold and asbestos. Daytime diner draws crowds with big menu of homestyle dishes in a no-frills space with a retro vibe. Store selling used & out-of-print CDs, posters, T-shirts, patches & other music-related merchandise. Established in 1990. Located on the corner of Oak & Carrollton in an awesome historic bank building. The Audubon Nature Institute is a family of museums and parks dedicated to nature that includes a zoo, aquarium, insectarium, and park plus nature conservation programs. 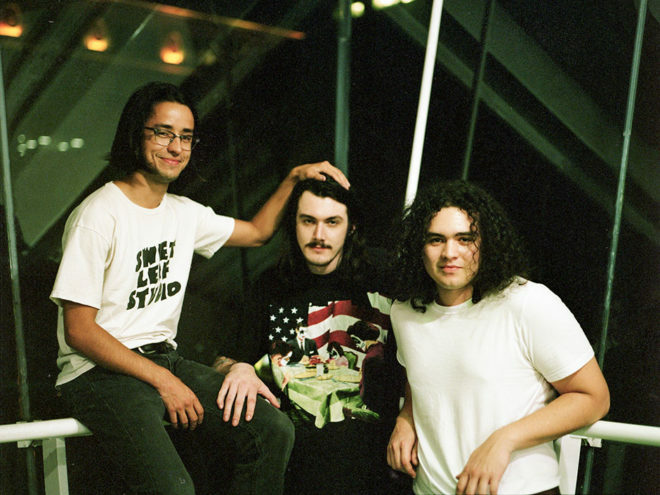 Chicago based garage-rock band, Town Criers, is here to tell you that "true love" isn't what you think it is with the release of their latest single, "It Ain't Love," off of their upcoming EP set to release May 6th.